The Dinner with Love Foundation is a grassroots community outreach program created in 2008. 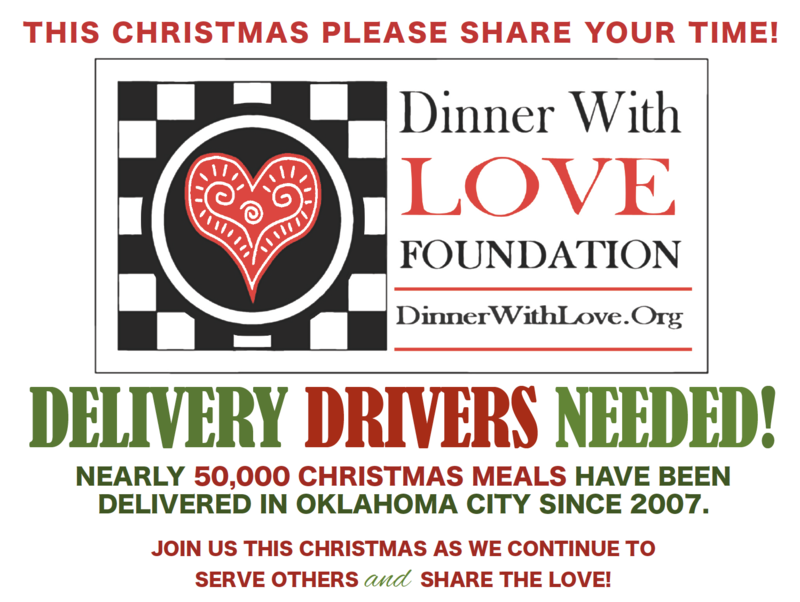 The program‚ mission is to share the joy of a complete, totally-cooked holiday dinner with families in Oklahoma City who do not have the financial means to provide a similar meal for themselves. Over 60,000 people have been Christmas meals have been delivered since 2008. * A minimum of two people per delivery is required. Contact Paul Ravencraft at (405) 239-1220 to learn more!